If life is something common in the universe, where is everybody? asked the physicist Enrico Fermi in 1950. And if this routine occurrence of life leads to the development of technological civilisations, where are their spaceships, their communications, their constructions, even their garbage? Where are the traces of their technology? So far, the universe continues to look to human eyes as an incomprehensible expanse, virgin and wild, where it appears that no one has ever laid a foot, built a device or even sent out a radio wave. 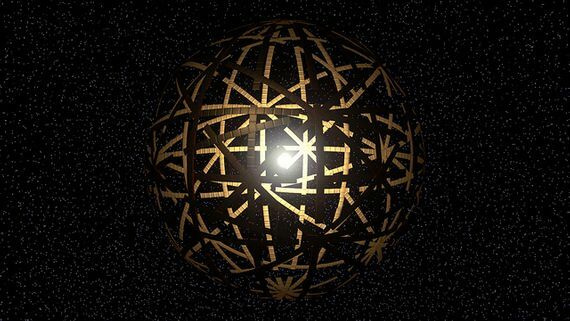 Since then, the hypothetical mega-structures of this type are known as Dyson spheres, although the physicist himself attributed the original concept to the 1937 novel Star Maker, by science fiction author Olaf Stapledon. Although Dyson introduced the idea as a cloud of devices in orbit, it has subsequently been reinterpreted as a solid structure. In any case, a similar construction could be detected at a great distance thanks to “the large-scale conversion of starlight into far-infrared radiation,” Dyson wrote. 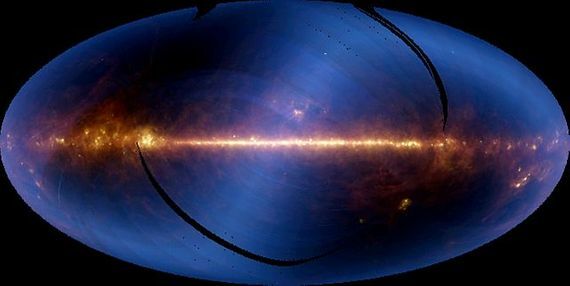 In other words, the sphere would trap the light, releasing residual heat to the outside, so that an anomalous infrared emission from a star could reveal the presence of a mega-structure. Dyson’s proposal raised such interest that other scientists began to speculate about it, and even had occasion to put it into practice. 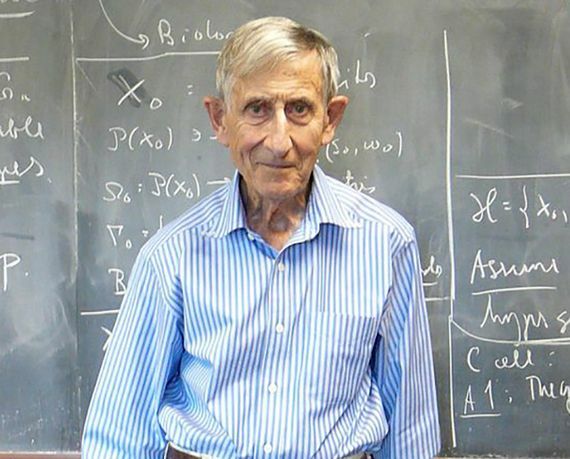 “About twenty years after I suggested looking for alien civilisations in the sky by searching for sources of thermal infra-red radiation, the Infra-Red Astronomical Satellite (IRAS) was launched and carried out a sky-survey at long infrared wavelengths,” Dyson recounts to OpenMind. “The search for alien civilisations using infrared radiation failed because of the abundance of natural infrared sources,” concludes Dyson. This also seems to be the case for a strange phenomenon that in recent years has kept researchers busy looking for an explanation. 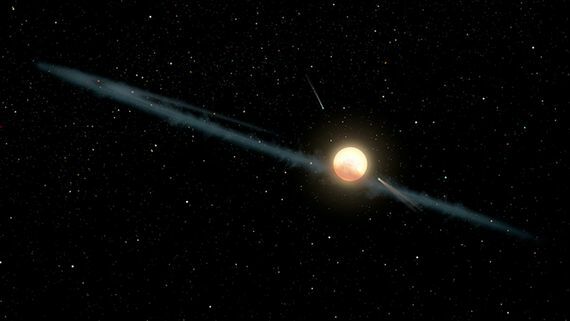 In 2015, a team of volunteer astronomers and collaborators under the direction of astrophysicist Tabetha Boyajian described a mysterious occasional dimming of the brightness of a star called KIC 8462852, as revealed by the Kepler space telescope data. The star, located some 1,470 light-years from Earth in the constellation Cygnus, was showing a drop in its luminosity by up to 22%, which led some scientists to revive the hypothesis of the alien mega-structure. However, once again it seems to be a natural phenomenon. Several studies published this year have observed that the various colours or wavelengths of the star are blocked to a different degree, which points to the dimming of the light being due to a dust cloud. According to Roi Alonso, a researcher at the Institute of Astrophysics of the Canary Islands and co-author of these observations, “what is happening between us and the star is not opaque, as would be expected if it were a planet or an alien mega-structure.” Experts will still have to explain the origin of the dust cloud, since unlike the objects detected by IRAS, the star KIC 8462852 is a mature star that shouldn’t still be surrounded by the remnants of its birth. A natural phenomenon has been the invariable solution to all the unknowns since 1960, when the astronomer Frank Drake first directed an antenna towards the sky in search of an alien signal, inaugurating what is known as SETI (the Search for Extraterrestrial Intelligence). Today the search continues by entities such as the SETI Institute or The Planetary Society, universities such as Berkeley, or new initiatives such as the Breakthrough Listen project, but with little official support: in the US, the lack of success and budget cuts led to government funding for SETI programs being pulled 1993. The programs survive today with private funds. However, this could be changing. Last April, there was a proposal from the US Congress to give NASA 20 million dollars over the next two fiscal years to help “private sector and philanthropic organisations” search for “technological signatures” in the universe. The space agency soon picked up the gauntlet, and in September held the NASA Technosignatures Workshop in Houston, a meeting in which experts from various areas discussed the different approaches in the hunt for the technological ‘footprints’ of alien civilisations.